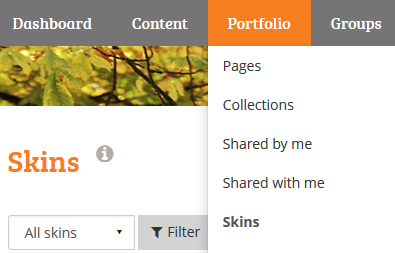 You can customise the look and feel of individual pages using a feature called Skins under the Portfolio tab. 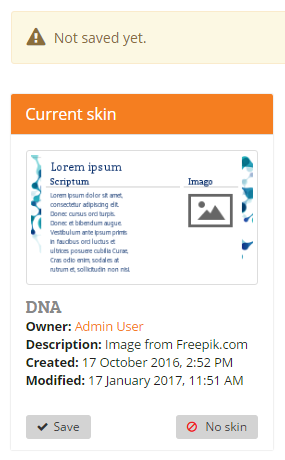 There is a small selection of Skin templates that are publicaly available for you to use. Navigate to the Skins page under the Portfolio tab. Click the heart icon to add selected Skin to Favourites. Next go to Pages under Portfolio. Select a page and click Edit this page. Click Choose skin. Expand Favourite skins tab. Skins selected as favourites in Step 2 will appear in this section. Select the skin and under Current skin click Save to confirm your selection. This will automatically take you to the page with your selection applied. To change or add additional skin to your favourites, repeat the process or use the Manage skins option. 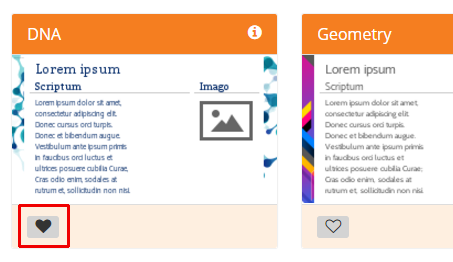 The following guide explains how to create custom skins for pages.